Some people dip a toe into a new activity like they’re gauging an icy mountain stream – tentative and half-hearted. Not Dr. Laura Ellis. She dives in, very likely making a huge splash before taking off at high speed. Four years after learning to ride a motorcycle, Ellis, a serious rock climber and mountain biker, has run through a half-dozen increasingly powerful bikes, starred in a documentary chronicling a grueling two-week charity benefit ride in Peru with well-known cyclist Neal Bayly, and started her own racing team. Don’t get the idea that Ellis is reckless, though. A native of Greensboro who graduated from the UNC-Chapel Hill School of Medicine, Ellis burns with intensity, but she’s also methodical. 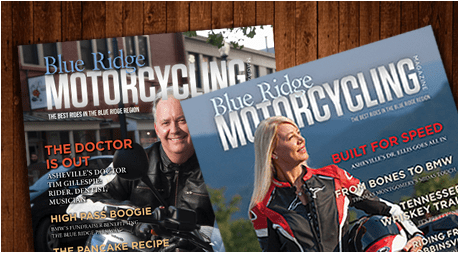 Her instructor, Jim Compton, has been teaching the Motorcycle Rider Education class since 1999 at Asheville-Buncombe Technical Community College. 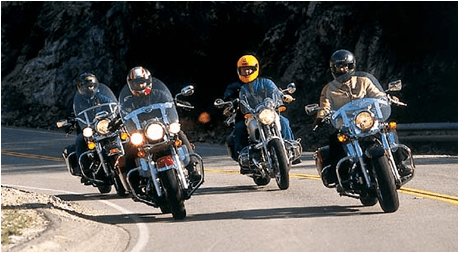 The course, which covers the fundamentals of safe riding, includes classroom work and eight hours on the bike, spanning an entire weekend. The smaller Kawasaki didn’t last long. Compton remembers a few months later riding on the parkway with Ellis, who was on a top-of –the-line Ducati. “She probably went up the Parkway in second gear,” he said. While Ellis craves adrenalin fueled by adventure, she is not looking to die, Compton stressed. She was actually the ideal student. Ellis felt comfortable enough with her skills to buy that first bike, a Suzuki 650, and hit the streets. And the parkway. And the back roads. And some secret spots she still keeps to herself. But the need for speed prevailed, and Ellis upgraded to the Ducati, a Streetfighter 848. Eventually, she traded the Streetfighter in for a Ducati Evo 848, a superbike prepped for the street. “I just fit really well on it,” she said. “He was setting out to do this adventure in Peru to benefit an orphanage, and Sam said, ‘You need to help my friend Neale Bayly,’” Ellis recalled. She contacted Bayly, a transplanted Brit who lives in Charlotte, and Bayly suggested they ride dirt bikes in the California desert. 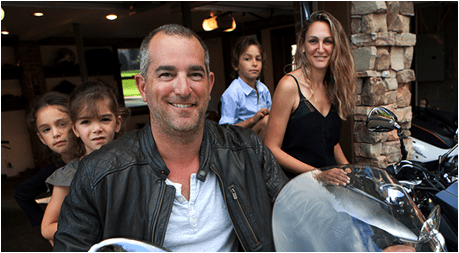 To sharpen her skills, Bayly introduced Ellis to Ike de Jager, a South African and former professional motocross rider who runs 20/20 Racing Academy in Apex, North Carolina. She vividly recalls one test of her fortitude, where de Jager had her wheelie-ing off a huge ramp. It was the end of the day on a Sunday, and by the third time de Jager sent her through, she was already beat. “I was so frickin’ tired, I just thought, ‘I can’t wheelie this again,’ so I just let the bike go,” Ellis said. “It’s flying through air; I’m flying through the air. I land on the ground, I’m crawling over to switch it off, the gas is leaking. I just put the helmet on the ground and my hands in the air and said, ‘I’m done.’ He picks me up and he goes, ‘Yeah, you’re done. The training proved to be as vital as it was grueling. She felt ready for Peru, although nothing really could have prepared her, especially not for the story line the editors had in mind. Ellis recalls it as a long, difficult adventure ride from Lima, Peru, through the desert and high into the Andes, then back down. It aired on SpeedTV . While Ellis still considers it generally a positive experience, Bayly makes no bones about Ellis’ portrayal in the final cut. Bayly notes that he crashed twice during the Peru trip, just like Ellis, and the other rider took several spills – all of which ended up on the editing room floor. After one crash, Bayly snapped at Ellis, and that made the cut, but he said he was frustrated because he felt Ellis was a better rider than she was showing. He points out that Ellis is a “nearly pro-level rock climber” and top-notch mountain biker, a woman who went from zero to two-week endurance rides in a strange country in a little over a year. The TV experience carried one benefit for Ellis – recognition. People knew who she was and sought her out. She’d just turned 50. As a single mom past the half-century mark, she doesn’t have a lot of female company on the track. “There are very few women out there, and I’m definitely the oldest,” Ellis said with a laugh, noting the other two race team members are men. At an age when a lot of people are making excuses about their health and letting dreams slip away like that flying dirt bike, Ellis is bearing down harder than ever. Bayly gets a huge kick out of that. Her team, Triple Threat Racing, is based in Palm Beach, Florida, where the crew chief and crew live. They’ve competed on the Mid-Atlantic and Southeastern Club Racing circuit, and Ellis snagged a regional championship in the rookies’ cup, lightweight category. She races a Yamaha R6 and a Kawasaki Ninja 300. “From February through October of 2014, I was at the track at least every other weekend,” Ellis said, adding that her practice, MedAge, sponsors the team. As a solo practitioner specializing in vein surgeries, varicose veins and aesthetic improvements, Ellis touts healthy living and taking care of your body, which she likens to a motorcycle. 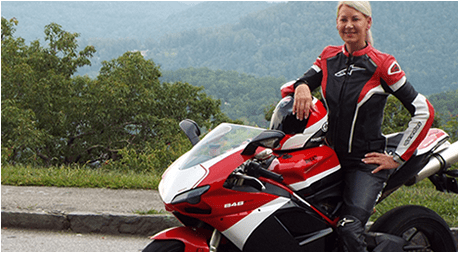 She was aware that some patients might think motorcycle riding is unsafe, but when Ellis joined the team she knew she had to go public with it and decided to capitalize on it. She’s also sure to tell her patients that she keeps the speed on the track, not on the local roads, which Ellis considers much more dangerous than the race forum, where other riders are heading the same direction and all have a mutual interest in survival. After four years and a lifetime of cycling experiences, Ellis felt comfortable in teaching her sons to ride. David, 12, started riding dirt bikes at age nine; while Mark, 18, started at 14. Gilbert, 18, has been on the track, and he’s comfortable in squirrely conditions, thanks to one-on-one training and dirt biking. And he’s a big proponent of his mom’s safety philosophy. Deep down, Ellis knows riding builds a sense of confidence, and quenches that thirst for adventure. Yeah, she could be talking about herself, too. Gilbert knows his mom is, well, not like other moms. Talk to Ellis for just a few minutes, and you’ll know she’s just getting warmed up.